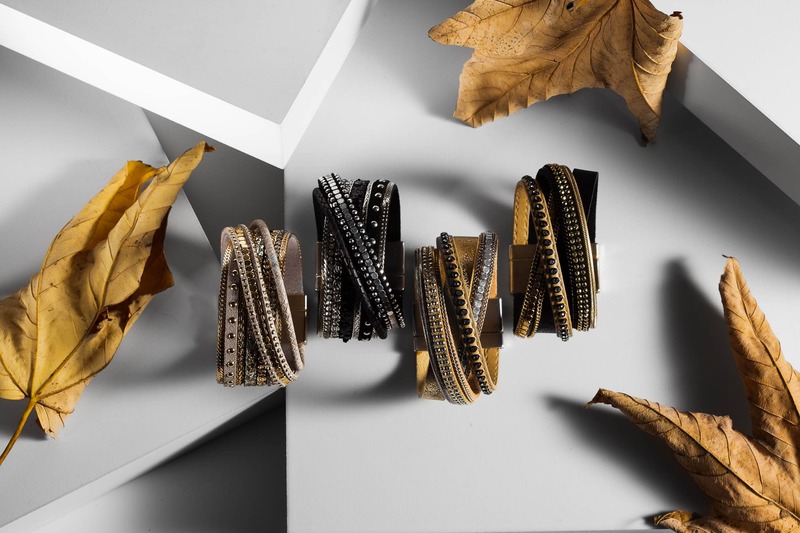 Here we look at a still life photograph of bracelets. The client asked for a banner image on their website that would incite interest in the product. Taking advantage of the season in this shoot, I decided to head out to the park to find inspiration and subjects to pair with the bracelets. First, I collected dried leaves that had fallen from the trees in the park. The leaves had started to curl up and change colour. 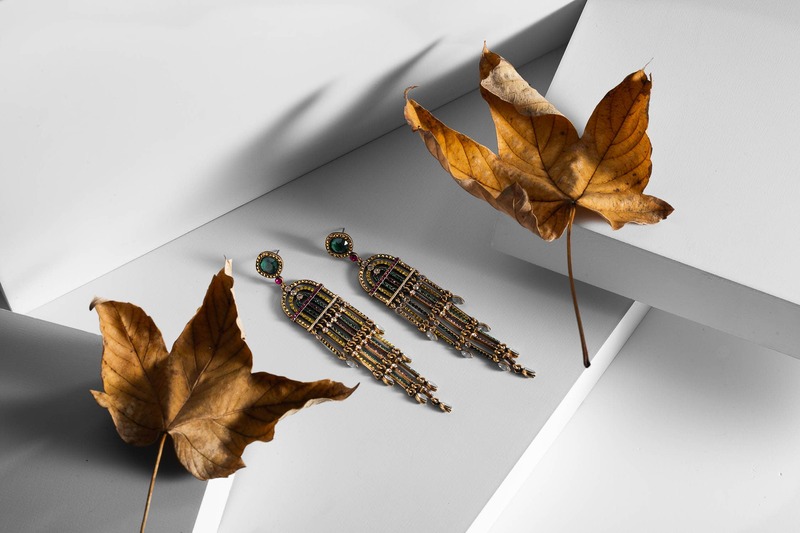 Each leaf was unique in composition and I picked out a few of the most interesting to pair with the jewellery for the shoot. 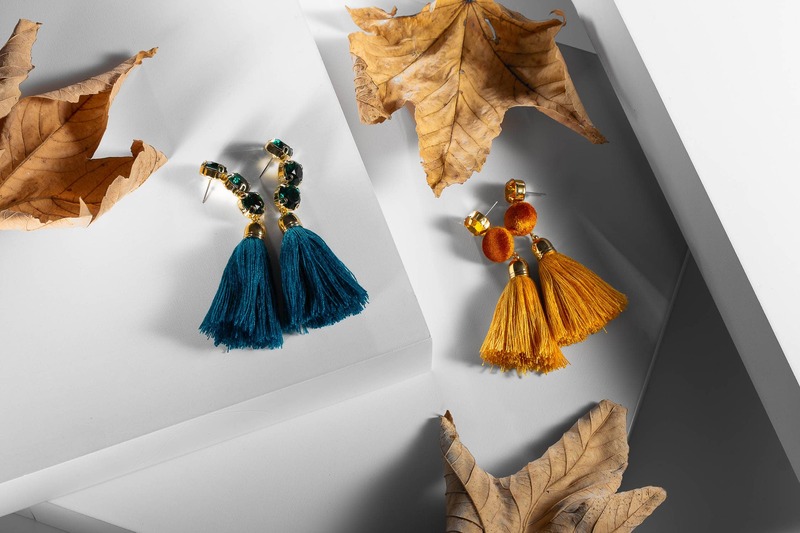 The idea behind the leaves are to represent the rich tones and atmosphere of Autumn. The purpose of the photograph is to stir interest and create a compelling call to action on the client’s website. The set-up was relatively simple, having used only a few key lights to emphasize the shadows of the leaves and highlight the product. A single, horizontal light source beamed across onto subject. The unique shapes of the leaves created those dark shadow brushes on the final image. Don’t rush into setting up the scene. Take your time to carefully plan the layout of the leaves and pick colours and that complement each other. I carefully placed some of the most fascinating ones in and among the products. The different sizes and shapes of the leaves make for a more detailed result. In order to illuminate the fine details of the jewellery, especially the stars, a honeycomb light was cast down from atop. This captured the intricate metal patterns that had previously been darkened by the shadows. Lighting in a photograph is so important and it really ties everything in the picture together. When shooting shiny objects, just like the stars on the bracelets, it is important to angle and adjust the lighting so as to bring out the shape. It can happen that the shape or dimensions of a small or shiny object become lost in the background. Again, the final result of the image was almost perfectly achieved just in the setup. 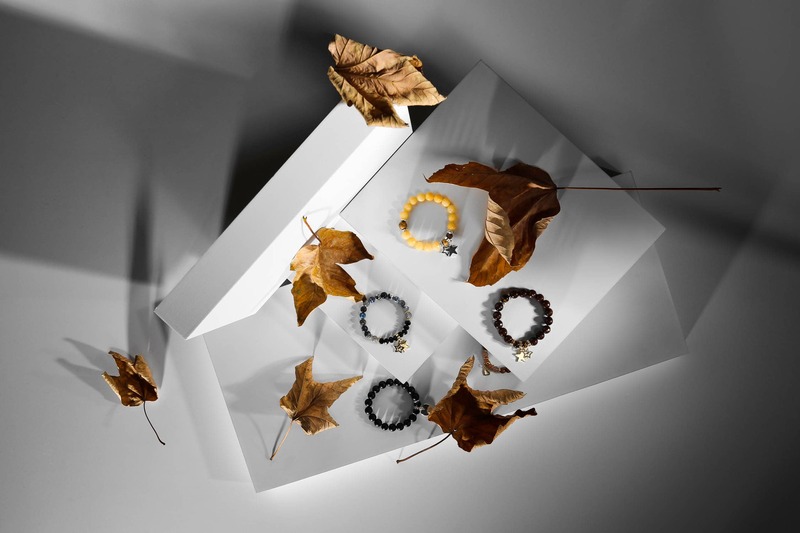 The bold Autumn colours juxtaposed with the careful craftsmanship of the bracelets and their accessories made for an exciting shoot. Some light touch ups and editing sealed the deal and I’m very happy with the outcome. Have you tried shooting a still life picture of autumn leaves? I would love to hear from you on your thoughts and comments.